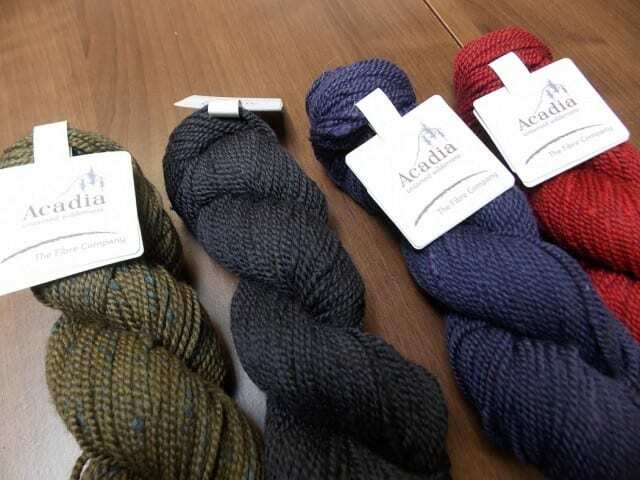 Acadia, from the Fibre Company, is a special yarn indeed, and has become a favorite at the Hillsborough Yarn Shop. This DK weight blend of merino, alpaca, and silk has a unique blend of rugged tweedy texture and soft hand, and served as our introduction to the Fibre Company. We were delighted to receive the four newest colors in Acadia last week! We’ve been stocking Acadia at the shop for almost two years, and in that time, I’ve seen it put to good use in all kinds of projects: “Welted Fingerless Gloves,” the knit “Quaking Aspen” shawl, the crocheted “Belle Epoque” shawl, “Ritalin Cowl,” even a very special baby sweater. 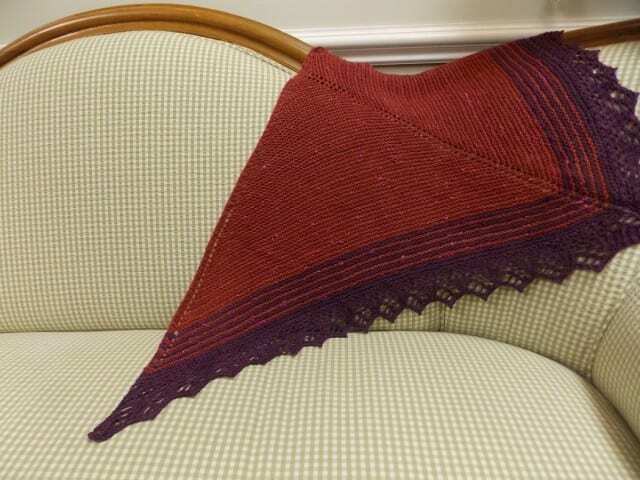 “Quaking Aspen” is a free pattern from the Fibre Company, calling for just two skeins of Acadia in the main color and one skein in the contrast color. Our “Quaking Aspen” sample is hanging up at the shop; come by to feel it for yourself, try it on for size, and get a good sense of how this yarn behaves in knitted fabric. 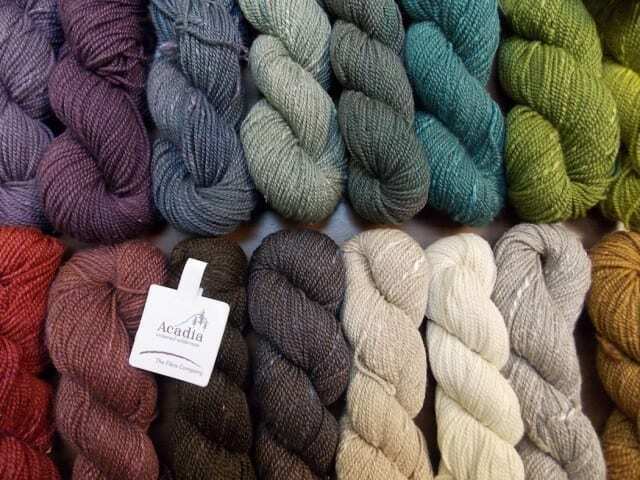 We’re loving this expanded palette of Fibre Company Acadia. Find it in the second room of the shop, hanging on the tree in the DK weight section!